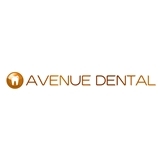 Avenue Dental (Austin) - Book Appointment Online! We at Avenue Dental are excited to offer you the newest procedures available in general, family and cosmetic dentistry. We believe that everyone deserves personalized attention and in a pleasant and relaxed atmosphere when dental work is performed. Austin dentist Dr. Joyce Lee Wong will help you look and feel your best. Dr. Wong is very comforting and friendly. I usually hate going to the dentist, but I'm looking forward to my next visit.